I can't read Korean, but did find many interesting services in Korea. 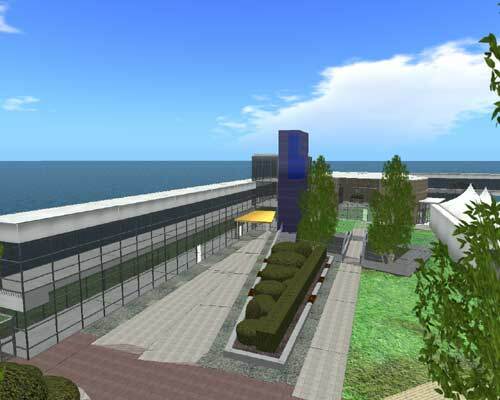 Nurien uses CryEngine (you may know Entropia and BlueMars use it) and offers a superreal virtual world. (See video below!). Members have their own profile page, enjoy chatting and games like a quiz show or a dance compettion. Nurien plans to launch in China, Hong Kong this year. and do a USA release next year. Cyworld, Korea's leading Social Networking Service which has 22 million members(!) 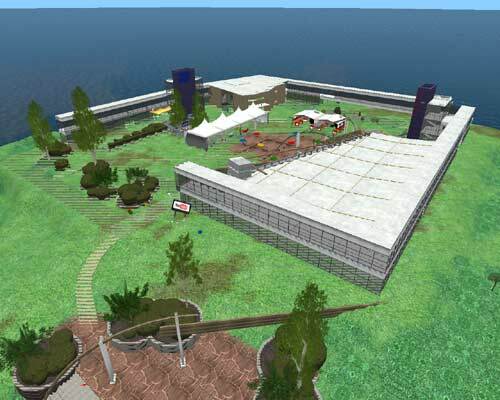 in Korea, has launched a new 3D world called Mini Life in June. kloseup is a online machinima making service. 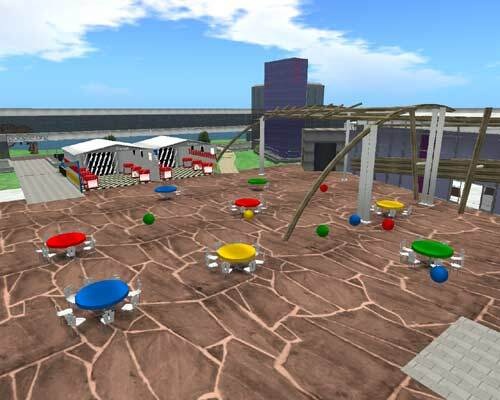 Select scenes, animations, and create movies. 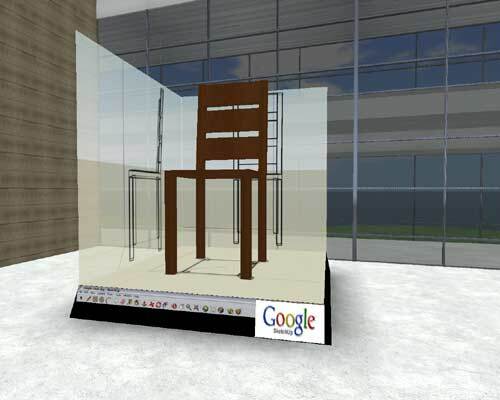 Adding that, you can upload google sketchup files. I don't have much information about ZEB. I tried to visit the website again, but no response. The service is continuing? Real life has been very busy in the past weeks. 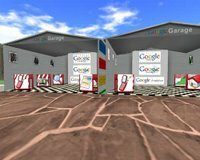 Holidays, and now a busy project and trying to redecorate the house in the evening hours have kept me away from blogging. It shows though. Sad to say my ratings dropped drastically. Before I went to work this morning I noticed a blogpost over at KZero's; Google Island now open to the public….but not for long which drew my attention. I jumped in and took a look and a load of snapshots before I went to work. Now I just washed off the plaster from my hands and am picking pieces of stucco from my hair and sat down to blog this build. 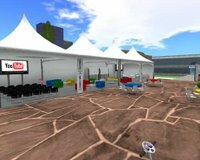 "Built by the Vesuvius Group for Google as part of their Zeitgeist bi-annual event, Google Island opened for the public today. The island has been up since October, just for some Google employees and attendees of Zeitgeist. The island was actually spotted by a few people several weeks ago, some assuming it was an unofficial build. Well, the mystery has now been revealed. 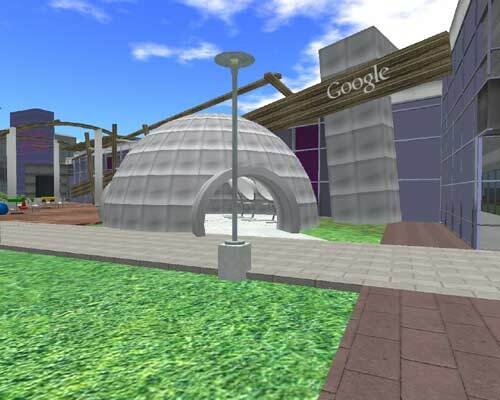 The venue is based on the real world Google campus and focusses heavily on interaction and socialising. 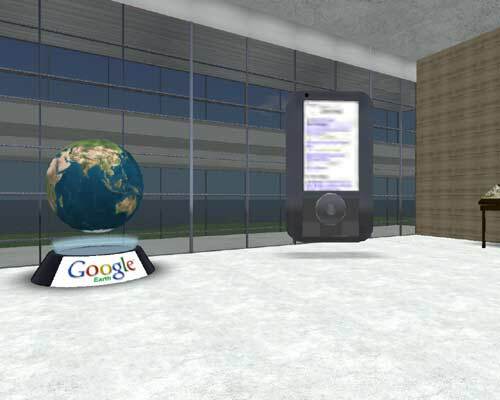 Various Google products and apps such as Earth, Checkout and Analytics are on show - visualised where appropriate. Speaking to the guys from Vesuvius Group, the island has been sold already and is coming down tomorrow. 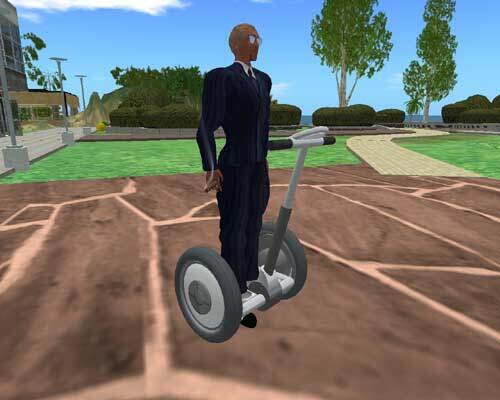 So, here’s some images and the SLurl if you’re quick." 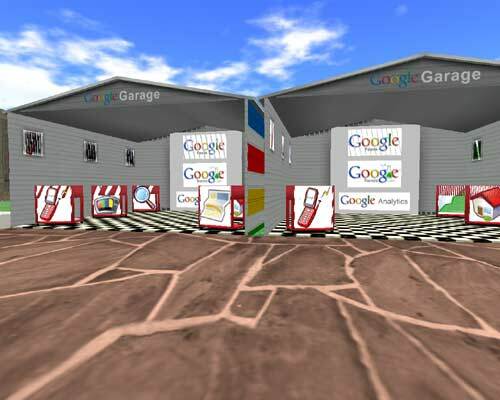 The one thing I found strange about this build is: Why furnish it with all manner of models and links to existing Google products when the sole users of the island are Google employees - who should know all of this already? 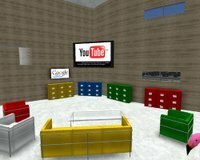 Indeed , time has been spent constructing working models of some of these - such as Sketchup and Checkout. Perhaps the answer is a simple and prosaic: "because they could." 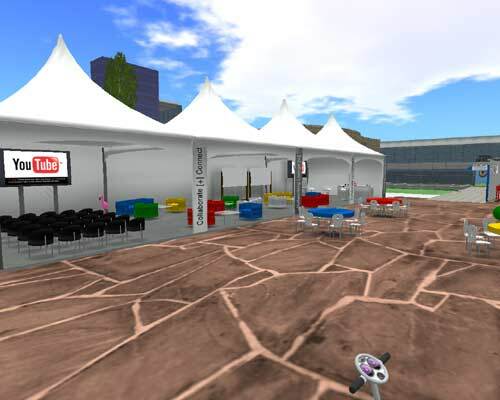 The central plaza has the typically Google-colored tables and is lined with several event pavillions, each with a different theme such as 'collaboration' or 'networking'. 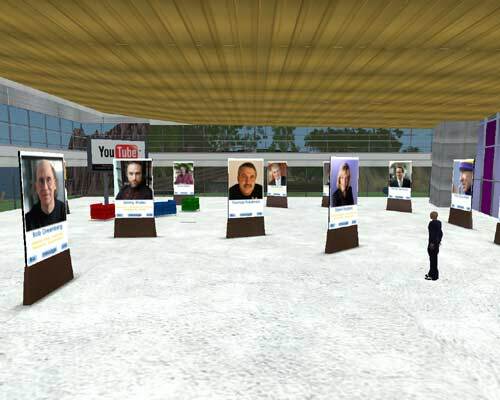 In one of the halls you'll find a number of celebrity photographs with links to bio's and the option to message these people. Another room shows a cartographers table with a Google Maps interface, further on you'll pass file cabinets with links to Google Docs and a counter representing Google's new Checkout. 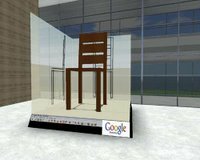 Of course, Sketchup is a must for the SL community, to prove it works as good as any other 3D designer and finally Google Earth rounds off Google's widgetting in Second Life. 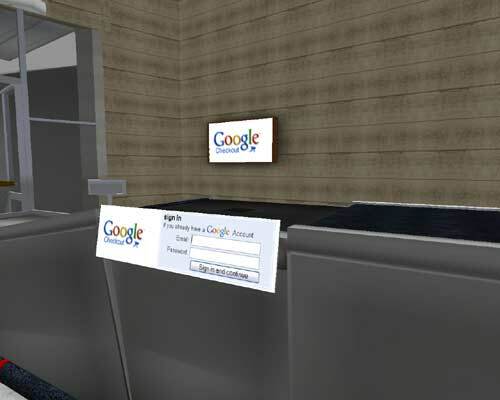 Like Aleister said, it might be just a thing for Google to prove it can interface like this with Second Life and that this build served no other reason than to offer a place for the Google employees for the Zeitgeist celebrations but I personally find this build very attractive. Not because it's a high quality build though. The most attractive point in this venue is the widgeting. Probably unintentionally, I think Google did the SL community a service: Many people and companies do not deem Second Life fit for business. One of the reasons is it is too open and too less secure an environment to do serious business. 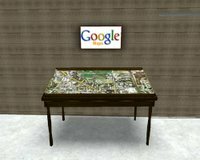 However in interfacing with Google Maps and Google Earth (as a Paraverse) it opens up opportunities for integration with GIS data (geospatial information system), i.e. 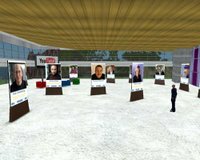 integration with Real Time Real World data it puts Second Life forward as a serious option in disaster training (like play2train) or as base for a virtual control center (see Ugotrade). 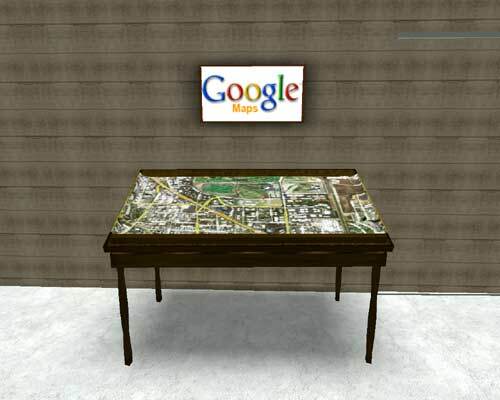 On the fun part, you could start using GIS information (e.g. Traffic Information) to simulate traffic in Real Life Cities in Second Life, or use Damanicorp's Weather Station to let your sim use actual weather data. SLURL: http://slurl.com/secondlife/Google%20Island/128/128/0 (as long as it lasts).